Lady Mairi Mackenzie might have been jilted by her fiance, but she doesn’t want or need any pity proposals from her fiance’s right-hand-man, Laird Duncan MacRae. Sure he’s handsome and rock hard and steady as the day is long--but as her father likes to remind her, she can do so much better. And again, she doesn’t want a man who only offers marriage just because he watched her get jilted. Dunn MacRae is having a hell of a time persuading the only woman he’s ever wanted--and the only woman he couldn’t have--that his proposal couldn’t be more in earnest. However, the vexing female won’t stand still long enough to even talk to him. It’s only when he rescues her from a brutal attack from redcoats and has to go into hiding that Mairi finally begins to see the man she’s been snubbing this whole time. As for Mairi, I did struggle slightly with her. I applaud Jarecki for creating heroines who are historically in tune with their times (on the whole) and aren’t Lara Tomb Raider in skirts. However, I sometimes get a little lost in the emotional ride the heroines have gone on and they feel a little immature. Fortunately Mairi’s little rides were infrequent and mostly logical (i.e. didn’t pull me out of the story which is what happens when I think the heroines are being too weepy.) Mairi is definitely an equal partner to Dunn in every way, and makes her loyalties known when the time comes. 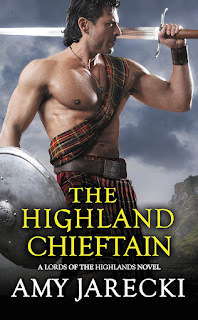 So if you’re looking for a Highland boyfriend this summer, make haste and fall in love with Dunn MacRae--and if you haven’t already, the other highlanders in this series. Thanks for the review, PJ. I'm looking for a new book boyfriend, and Duncan sounds like he could fill this role with ease. I've always enjoyed her Highlander books and I'm sure I'll enjoy this one as well. Thanks for your review. Great review! 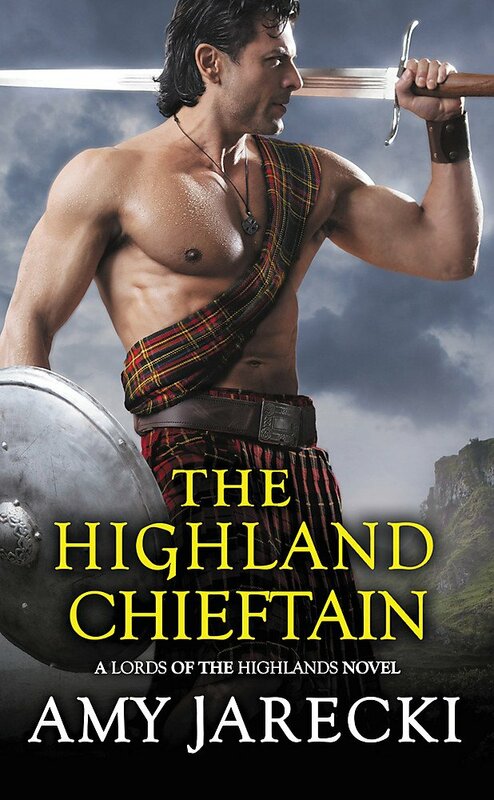 I love reading books about Highlanders. Me too! Highlanders are a favorite weakness of mine! I have read several reviews of this book and it definitely sounds like one I must read. Highland stories of this era were the fist romances I read and made me love romances. I need to get back to them. Thanks for the review. She's a new author to me who I will have to check out. Let me know what you think! I hope you like it! I just completed The Highland Commander and quite enjoyed it. YAY! So this will be a nice follow up! Enjoy! Your review made me smile. Adding the title to my wanted list. Yay! I love making people smile. Let me know if you like it!